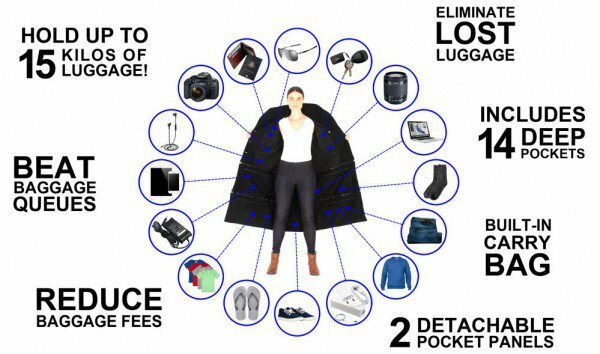 A special designed coat that can fit around 15 kg of luggage. That would save you money if you're a frequent flyer. 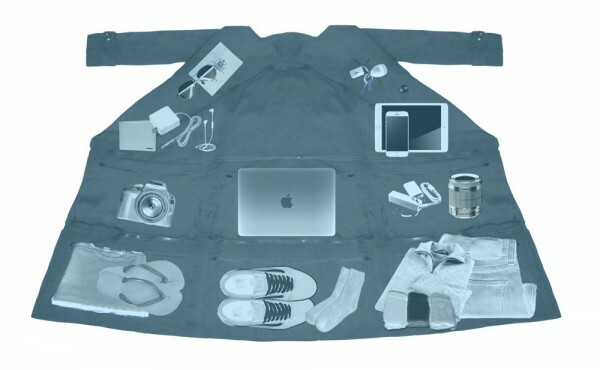 A modular jacket worn 3 ways, includes 14 deep pockets, 2 detachable pocket panels and it has a built-in carry bag. But is it comfortable? And is it allowed?